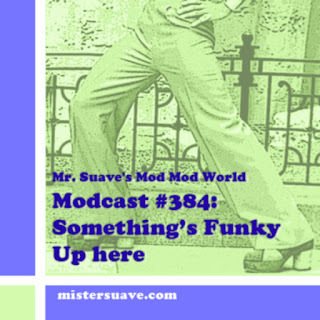 Okay, with Modest Proposal set to release a new album next month, and livestream an acoustic session this weekend on the modcast facebook page, it seemed like a good time to open up the vaults and dust off this modcast from nearly a decade ago. 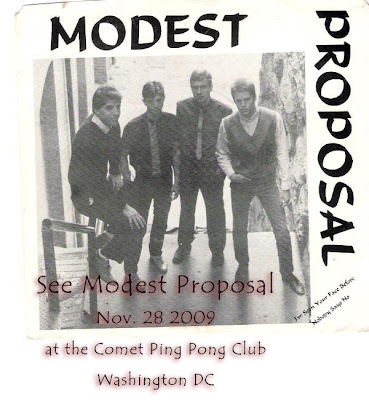 Modest Proposal front man Neal Augenstein guest hosted Modcast #143 at the time of the group's then first reunion in 25 years. Great mix of music and a bit of band history from Neal. Neal, who now works at radio station WTOP is chronicling the band's reunion. The first post is here and there are several others as well. I wish I could be in DC to see the band back together. If any of you do get to the show take some pictures and let us all know how it turns out. This week's show is hosted by Neal and it's a crackin' good one. I think you'll enjoy it, I know I did.